The Chinese tree nursery sector is rapidly changing. Labor costs are rising and the number of large governmental projects is decreasing. This leads to increased interests from Chinese tree nursery companies in both technical and marketing developments from abroad. And where else would you find the newest information then in The Netherlands with its highly developed tree nursery sector? 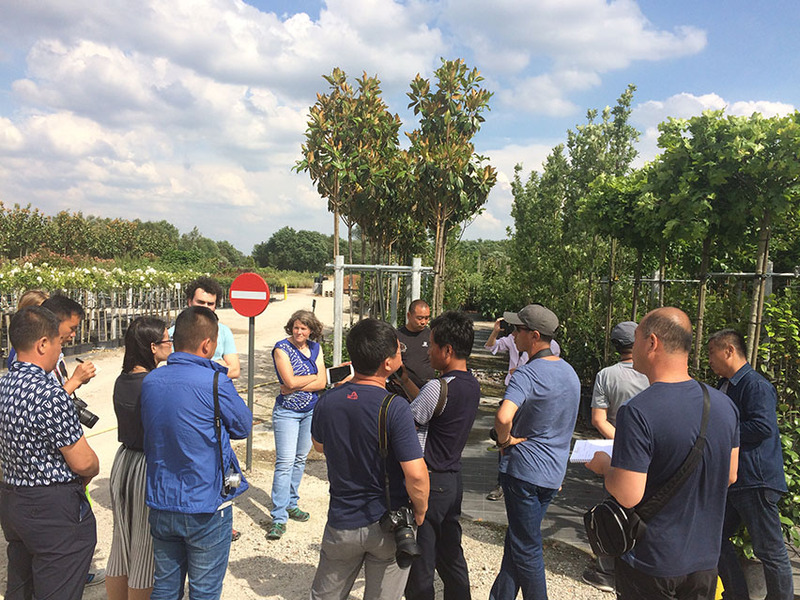 That is why the management of Handan city Qicaiyuanlin landscape engineering Co., Ltd again requested HollandDoor - like in 2015 and 2016 - to organize a 2 week business tour to tree nursery companies throughout the Netherlands (and Belgium and Germany). This year the Chinese delegation consisted of 16 tree nursery entrepreneurs from 7 provinces across China (Hebei,Shanxi, Shandong, Liaoning, Fujian, Sichuan and Xinjiang). From June 8 to June 22 the tour led them to a range of tree nursery regions all through The Netherlands, Germany and Belgium. 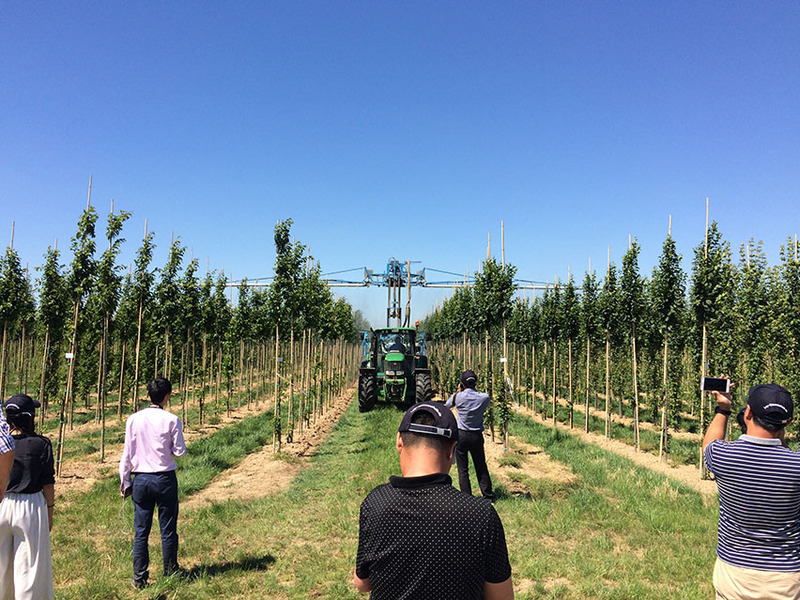 The Chinese delegation was impressed by the serious working attitude of the Dutch growers, the cooperation through the whole chain, the marketing concepts, the standardisation in tree growing and by the use of machinery. They also acknowledged the passion and entrepreneurship of the Dutch growers. Within this passion for tree growing the Chinese and Dutch growers found each other. 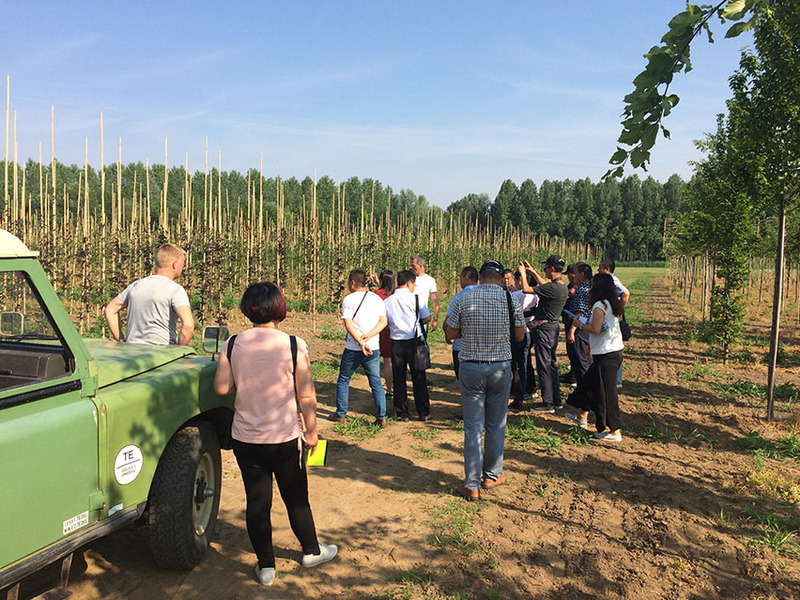 The main goal of the business tour was on the one hand to learn, but on the other hand to lay a foundation for future business cooperation between Dutch and Chinese companies in the tree nursery sector. 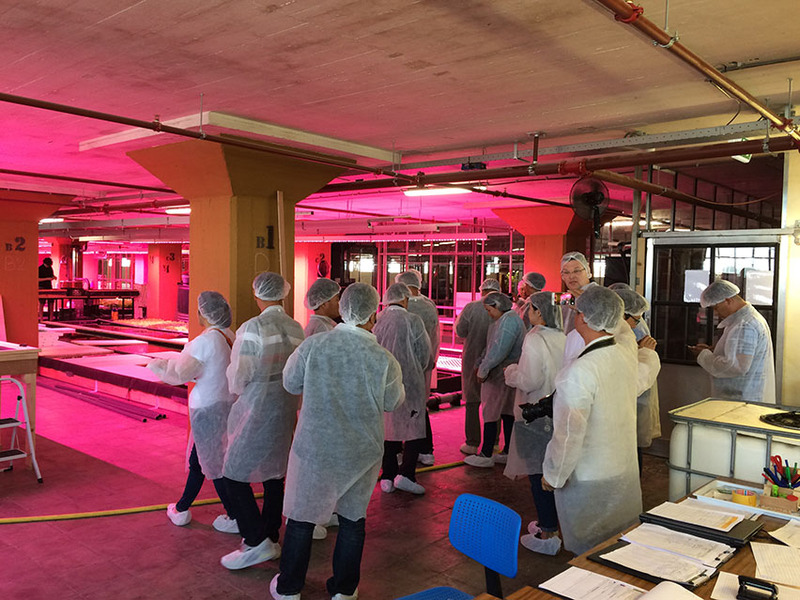 This was the third business tour in 3 years and over the years the moments of interaction and sharing from both sides have grown in number and it is on this foundation that HollandDoor will try to build towards a more structural relationship between the Chinese and Dutch tree nursery sector.